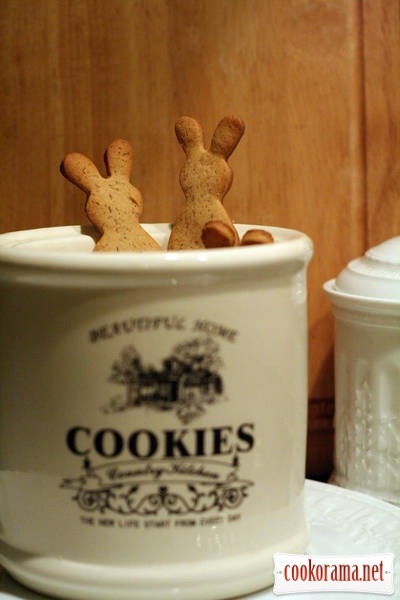 not to exceed the dough with flour. 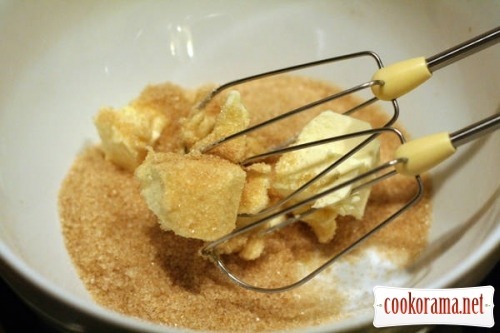 Beat sugar and butter with a mixer into a homogeneous mass. Add the egg to the dough, milk, honey, stir to homogenous mass. 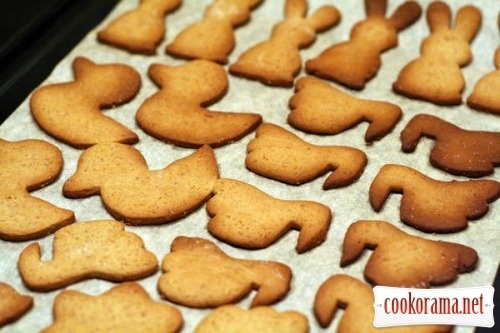 Pour baking powder and spices. 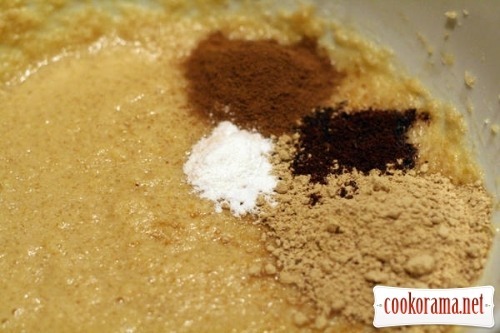 Then stir the flour with spoon. 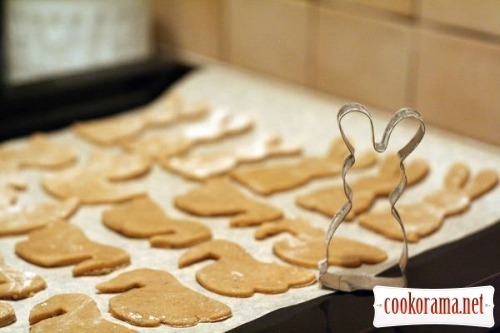 Dough will be sticky, do not worry that`s fine. We spread it on paper (in package) and put in the fridge for at least for a half an hour. You will get it out of a right consistency for rolling (on photois half). 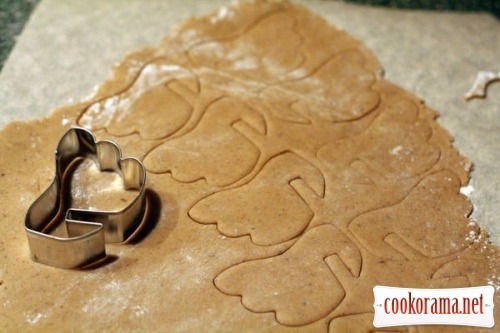 … which then spread on a sheet, lined with cooking paper. 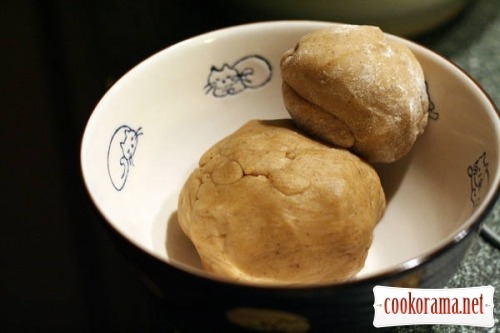 While the first half is baked for 10 minutes in 180 degrees hot plate, roll-cut cookie from the second half of the dough. Since I accidentally make cookies of different thickness, so they were baked in different way, but the taste was not worsened. If your stove, like mine, heat more the back wall, 5 minutes after turn the form to other side. 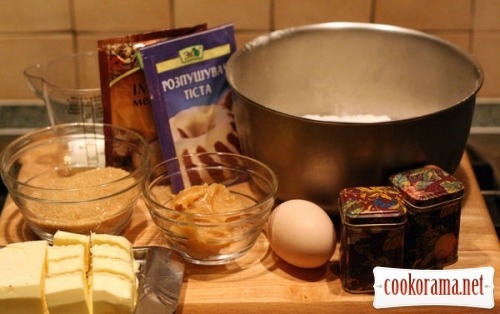 Top of recipe "Ginger cookies"
начувся про таке печиво від знайомих, які нещодавно до Європи відпочивати їздили. вони в захваті. думаю оце і собі спробувати приготувати — побалувати. А я робила печиво у формі ялинок і покрила білковою глазур'ю зеленого кольору. На вигляд виходить весело і симпатично. До того ж воно тоді так швидко не засихає і це вихід, коли печиво пересушилося при випічці.